This rabbit's got a sweet tooth! He's on a quest for the world's sweetest carrot, and just wants to nibble carrots all day today, tomorrow, and the day after that!.. If this face-up card you control is banished: You can banish 1 Psychic-Type monster with 1500 or less ATK from your Deck. Then, during your next Standby Phase, if this card is still banished: Special ..
Halve all damage you take this turn. You can banish this card from your Graveyard; halve all effect damage you take this turn. (You cannot halve the same damage twice with this effect.).. When a monster with an Attribute other than WATER is Normal or Special Summoned (including face-down Summons), and you control a face-up WATER monster: That Summoned monster is changed to Defense Posi.. When this card is Special Summoned by the effect of an "Evoltile" monster: It gains 200 ATK. If this card was Special Summoned by the effect of an "Evoltile" monster, each time this card destroys an o.. When this card is Special Summoned by the effect of an "Evoltile" monster: It gains 500 DEF. 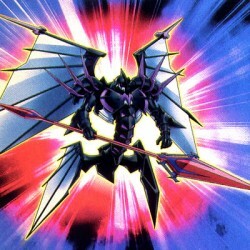 If this card was Special Summoned by the effect of an "Evoltile" monster, then is destroyed by battle: You ..